You all know I have this weakness for anything glowy, or has glow in the name, or implies some sort of glow, or has shiny packaging. Unfortunately this product has all of this, so naturally my first instinct was to buy it. Damn those glowy instincts! To be honest, I'm not even sure what this palette is for, the promo pics and teaser went out so quickly and then the product was released! It appears to be a full face palette that sets your makeup and enhances all in one. Who doesn't need some glow all nonviolently packaged in one palette? And Becca does this so well! 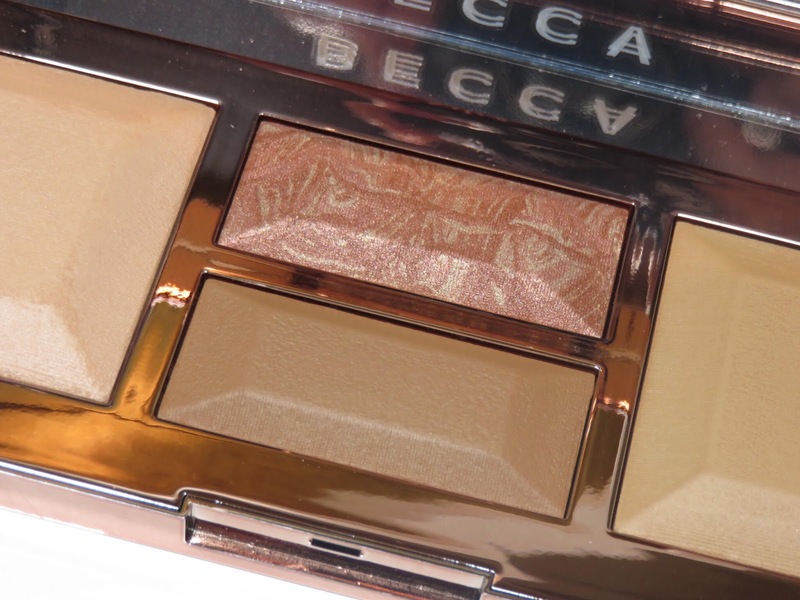 The Becca Be A Light Face Palette retails for $46.00 USD and is available at Sephora and other retailers. The compact is a lot larger than I initially anticipated based on the promotional images and it also has a good weight to it, which I also did not expect. It feels very hefty and luxurious. The packaging is very shiny and reflective. 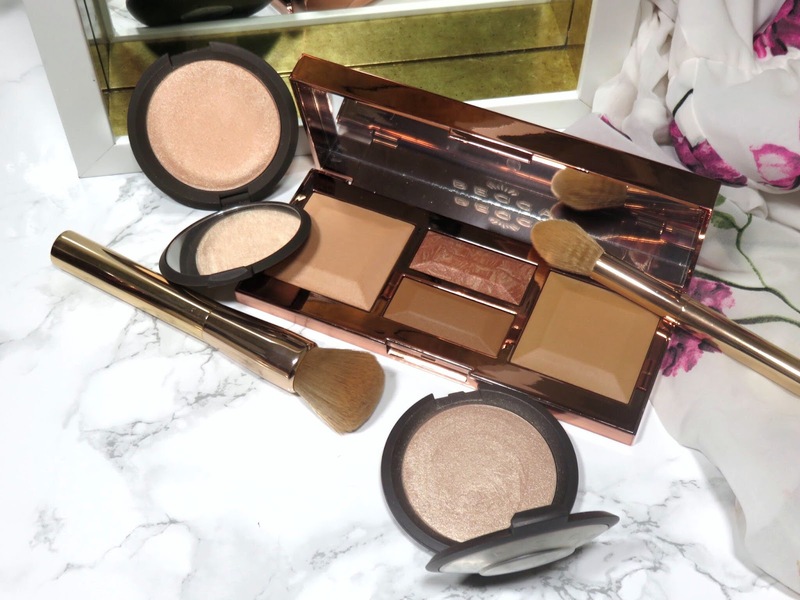 The light to medium comes in a gold compact, while the medium to deep comes in a rose gold compact. This palette comes in two color ways light to medium and medium to deep. I appreciate Becca trying to be inclusive with two color options because full face palettes often only come in one shade that caters to only light to medium skin tones. I was really torn on which color way I should get, since I am medium skin toned and could easily go either way but the medium to deep colors appealed to me more. It also turns out that the medium to deep shade isn't as dark as it appears in some of the promotion pictures, so it suited my skin tone well. Light to Medium Palette:- Brighten Powder: A soft pearl powder that brightens the complexion.- Blur Powder: A flattering beige that blurs imperfections and warms the complexion.- Contour: A neutral tan shade to enhance and define your features. - Blush: A light pink marbled with silver pearl for a pop of color and light. Medium to Deep Palette:- Brighten Powder: A neutral peach shade that highlights the complexion.- Blur Powder: A warm sand shade that blurs and enhances the complexion.- Contour: A warm bronze shade that creates natural dimension.- Blush: A warm copper marbled with rose gold pearl. The formula of all the products appears to be baked, as they are raised from the pan. There are two powders in this palette, one to set the high points of the face and under the eyes and one for everywhere else to blur and perfect. 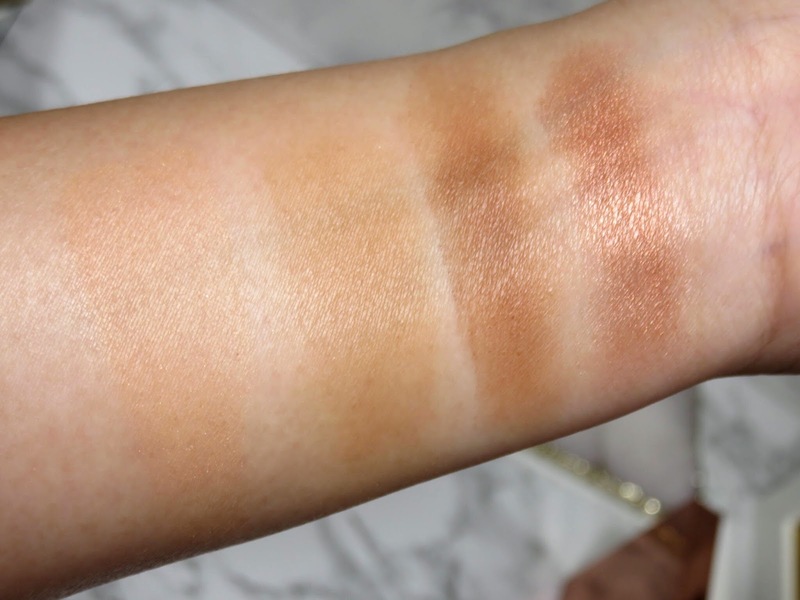 Obviously the brightening powder is lighter in color, while the blurring powder is more skin toned. The powders are both very soft and when you dip into them, there is some powder kick up. They apply very smooth and don't cling oddly to patches on my face. Brightening Powder - This shade is a slightly peachy beige but goes on pretty translucent with a bit of brightness and a barely-there sheen. This is what you would expect from a brightening powder, it is subtle and soft. With Becca, I wouldn't expect anything more. They usually stick with the soft and naturally enhancing formulations. This will not be your "baking" type of powder. Blur Powder - The blur powder is a warm skin tone shade that again, applies sheer and translucent. It sets the skin nicely without completely stripping it of radiance. I would say the finish is a soft matte, which even as someone who doesn't like a powder or matte finish most days, I actually really like. The blurring effect is very subtle after the initial application but it seems to take some time to get adjusted to your skin because after about 30 minutes, the blurring effect appears much more powerful! It's kind of odd that you don't notice it at first but then after it fuses with your makeup, the blurring is quite apparent. It's not as strong as I expected it to be or would like it to be but it's definitely there. Note: Neither of these powders controls for oil, so if you have any oily skin type, you may want to skip this palette. I notice even on my dry skin, oil begins to come through by mid-day. Also included in this palette are two enhancement products, a contour and a blush. 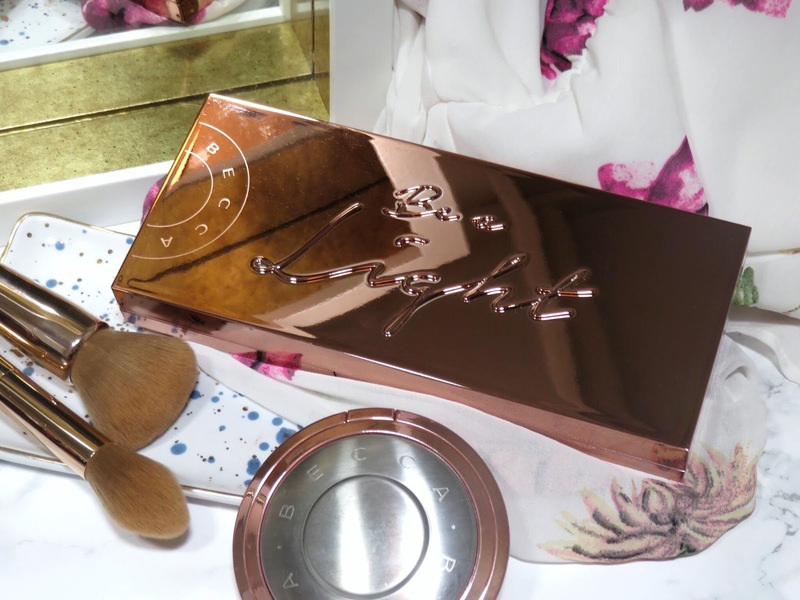 These products are quite small compared to the powder sections and I sense they may run out quite quickly but you will also not be using them as heavily as the powders. Contour - This is a pretty standard bronzer shade, it is slightly warm and adds dimension back into the face. It is a pretty but nothing innovative or new. It works well for sculpting the face because while warm, it isn't too warm to be used as a contour. 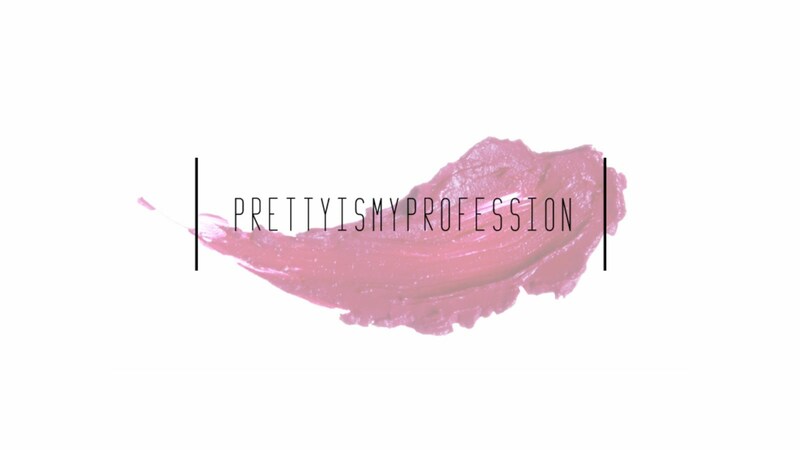 It has a soft texture and medium but buildable pigment. Blush - This blush is very pigmented! It is a very warm coppery-bronze shade with a pretty shimmery texture. 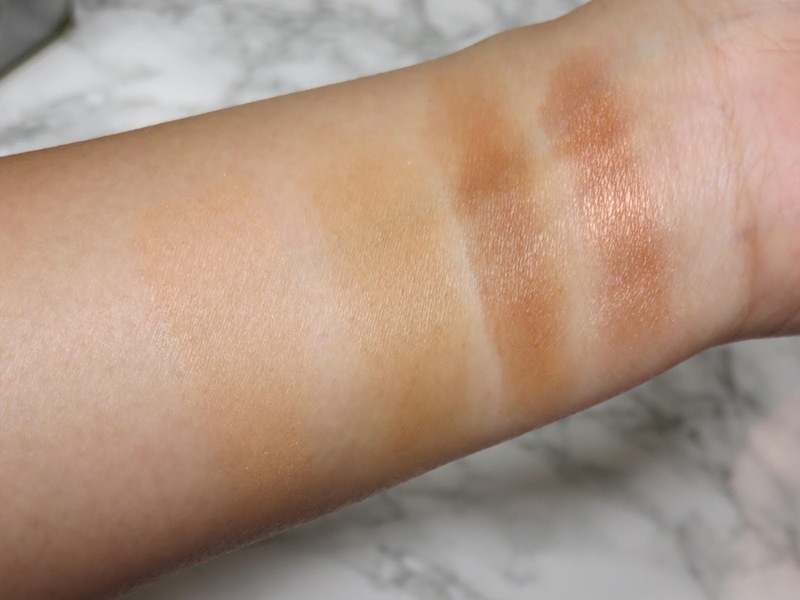 When blended into the skin, it does not come off nearly as shimmery. 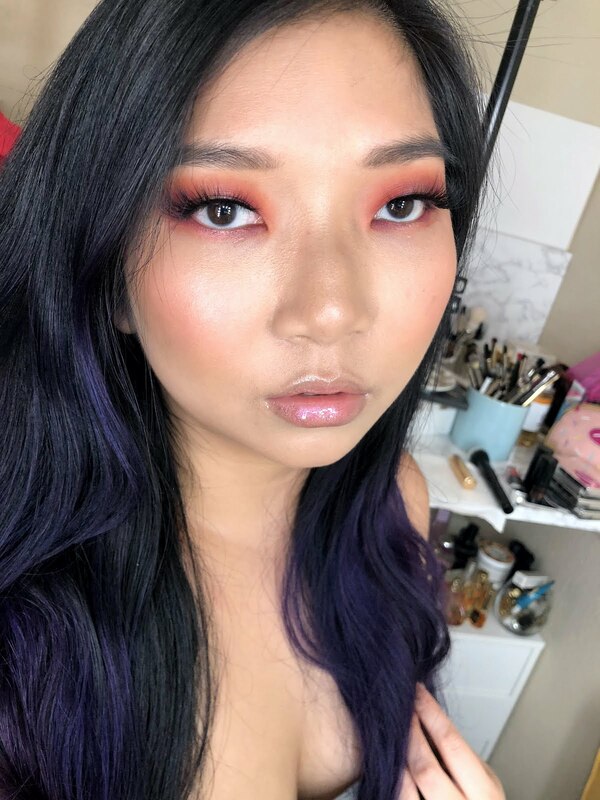 I applied a little too much the first time and I was able to buff into my skin for a more natural look. You can also use the blurring powder to lightly go over it, if it's too strong. I really like this blush shade but I don't feel like it's incredibly unique. Something very important to note is that these powders get a hard film on top very quickly! This hard film is usually caused by oils on the skin that transfer to your brush and onto the powder. This typically doesn't happen as quickly unless the powder is very tightly packed into the pan. I was not expecting this to happen at all, considering the powders are so soft but only after one week of use, the blurring powder and the bronzer had a layer of hard film that had to be scraped off! I'm very disappointed by this. 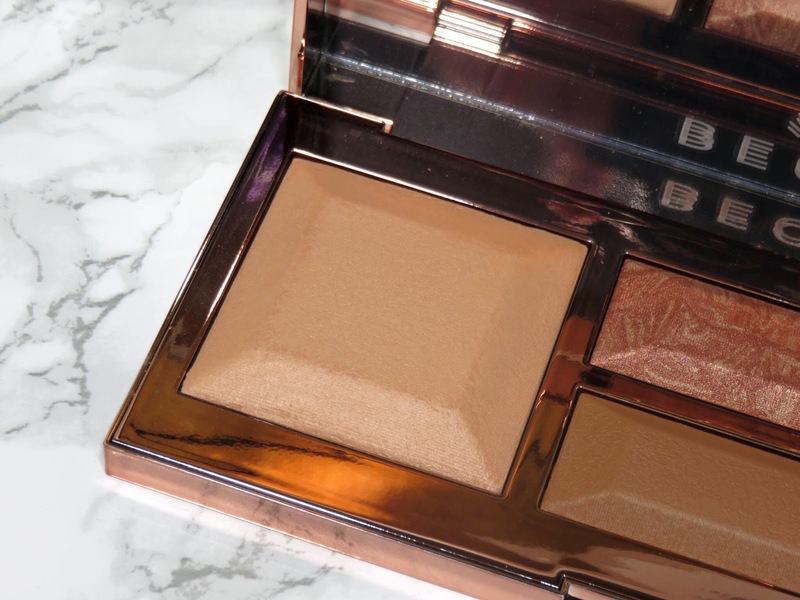 Someone had asked me how this compares to the Hourglass Ambient Lighting Powders and to me, they are very different! While the Becca powders have a bit of a sheen, the Hourglass ones have much more and they don't claim to blur, which they don't. The Becca powders do have a blurring effect but its is subtle Both powder have quite a soft texture but the Hourglass ones do not develop the hard film on the top but the Becca ones do. I much prefer the Hourglass powders to these new Becca ones. Overall, I like the travel-friendliness of the palette, in that all these products are wrapped into one compact. However, the compact itself is quite large and not exactly something I'd want to travel with. The products are all very high quality and look very good on the skin but I'm not really blown away. There doesn't seem to be anything special and new about these products or formulations. The powders are very nice and blend into the skin very well but I have powders that give me a very similar effect. The Givenchy Prisme Libre Powder comes into mind when I think of a great blurring powder, these come in a loose and a pressed version and I find the blurring effect is instantaneous! 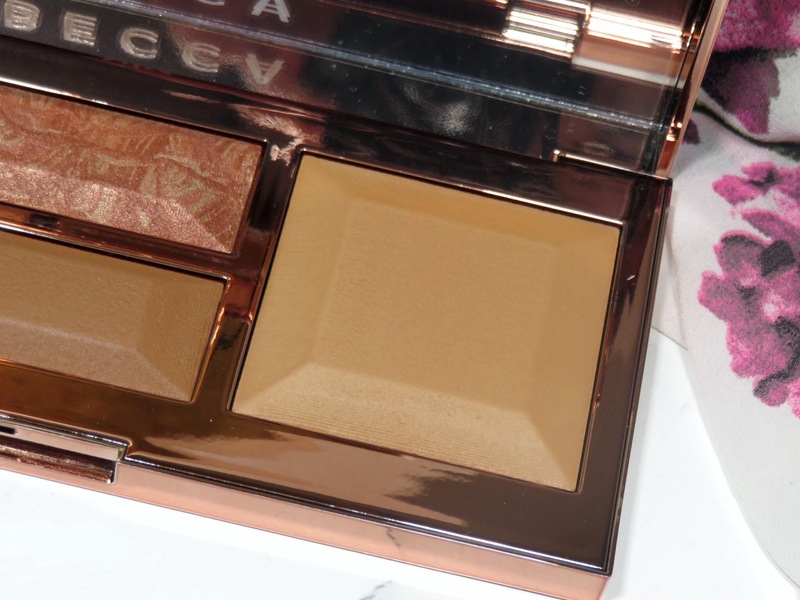 The bronzer and blush are very pretty and I appreciate their addition to this palette but again, I just have products that do essentially the same thing. I'm quite torn because I really do like this palette and the products contained inside but as someone who owns a lot of makeup and has tried a lot of makeup, this palette doesn't strike me as anything that new or innovative. It is convenient to have these products all in one palette for everyday use and I plan on keeping and continuing to use my palette. However, I don't think I would consider repurchasing this product. I hope no one gets mad at me for saying this but most Becca products I've purchased have a been a mail. I want to like them and I never do. I completely stopped buying anything in the line. Sometimes I see the highlighters (they have so many) and I'm just not impressed. I bought the Becca Opal highlighter and that was nice. Champagne Pop was just too disco for me and a few other things here and there have gone back to Sephora. Now, I have stopped trying.